For those who do not know, Lisa Fithian is an infamous leftist organizer. 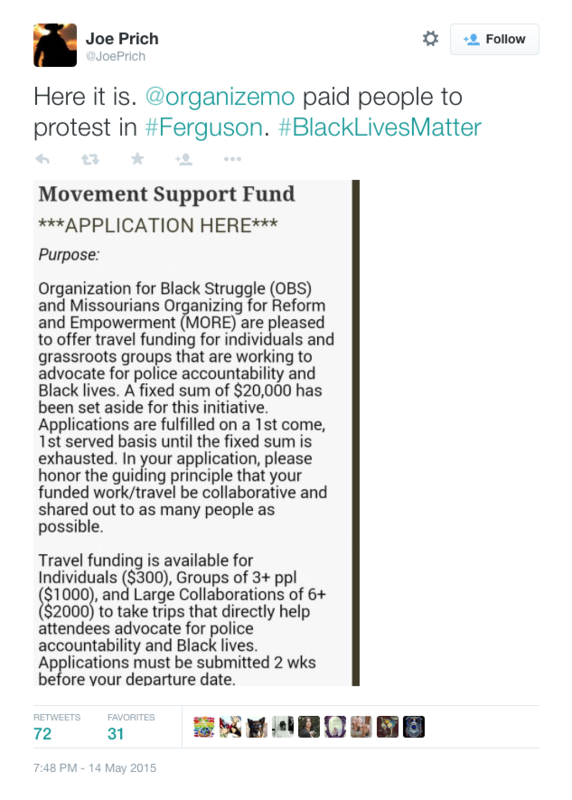 She organized at Occupy, but has been used as a training organizer for many years before that. 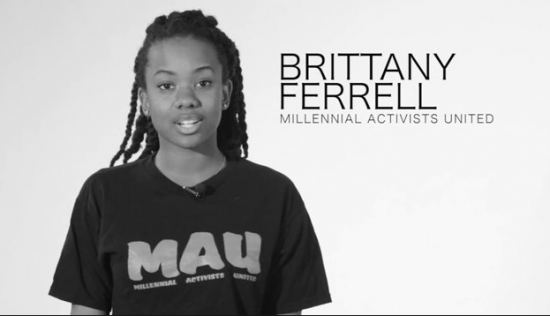 She spent time in Ferguson in 2014 training people to ‘simulate chaos’. 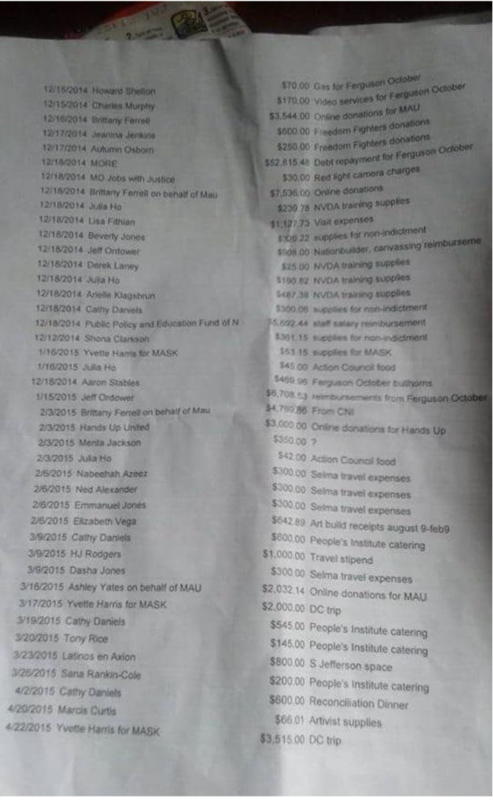 $52,815 is paid to MORE. Money clearly was to go through them to the protesters, according to the protesters during their #cutthechecks protest. 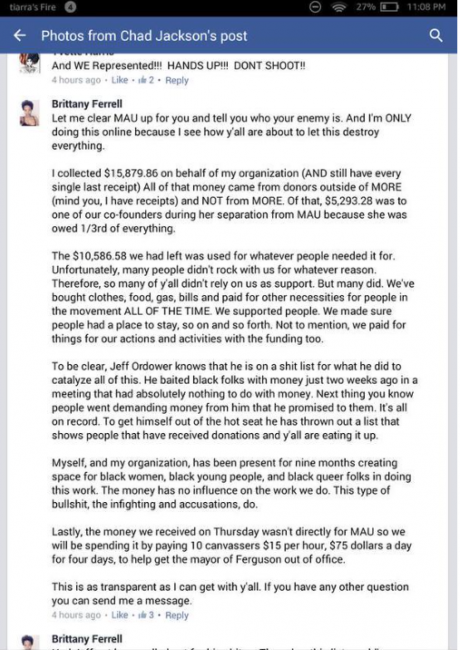 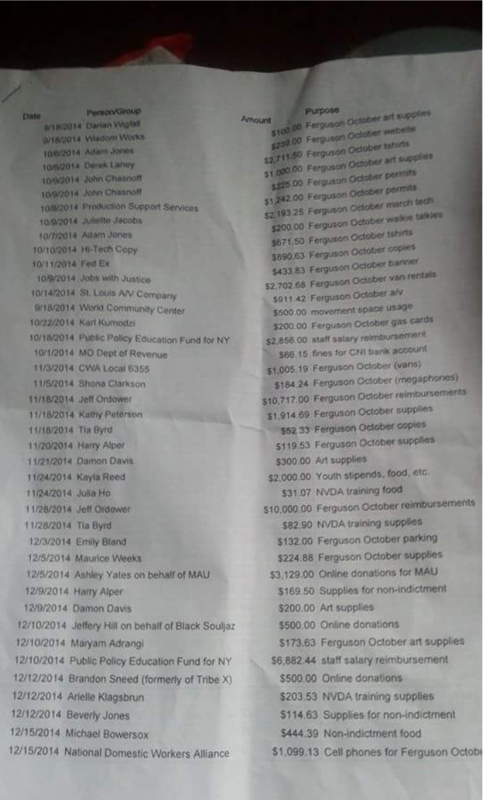 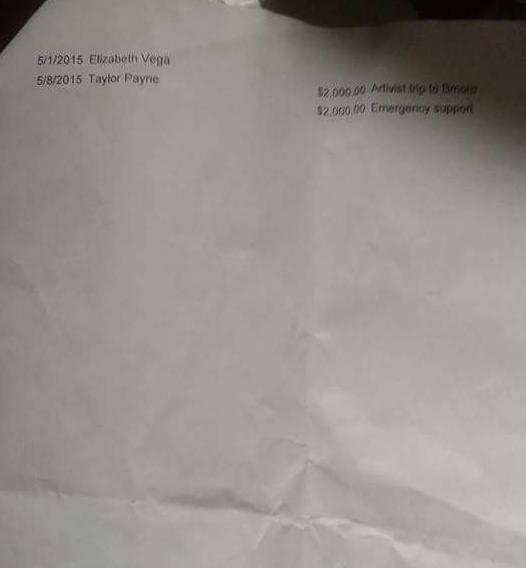 Her post confirms the payouts to protesters and to her in particular.